Welcome to Chimney Mountain Cabins, just outside Helen GA north of Anna Ruby Falls on Unicoi Highway! 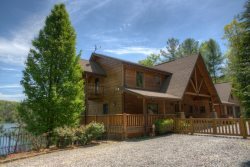 Here are five unique, rustic and elegant, 2-bedroom cabins with fireplaces just renovated that sleep 4-5* adults, perfect for that mountain getaway experience. Situated on the borders of the National Forest providing walking/hiking trails just outside your cabin that lead to Snake Branch Creek, a favorite for our guests, especially the pups! Select all 5 for that group gathering that easily accommodates over 23 guests* combined. We had a wonderful vacation and are already planning to come back. Our stay was wonderful. We enjoyed the natural habitat of the surroundings. Excellent team. Very helpful! Responded quite promptly to any issues or questions we had. We really enjoyed our stay! The cabin was very clean . The cabin was beautiful! The views was beautiful and my stay was refreshing! We spoke to a gentleman from Pinnacle who directed us to a hiking trail behind the cabins that went up the mountain. Very nice young man. Very helpful. Very nice experience. Loved it. Will definitely be where we stay when we come back up again. Good amenities and a wonderful experience. Close to the state parks and Helen but far enough away for quite relaxing family time. Pinnacle staff were very knowledgeable of the area and assured that our stay would be rewarding and enjoyable. Pinnacle Cabins provides a place to enjoy a quiet and serene getaway. Our stay was very relaxed and enjoyable. The cabin provided everything we needed i.e. dishware, bedding, washer/dryer and toiletry items. 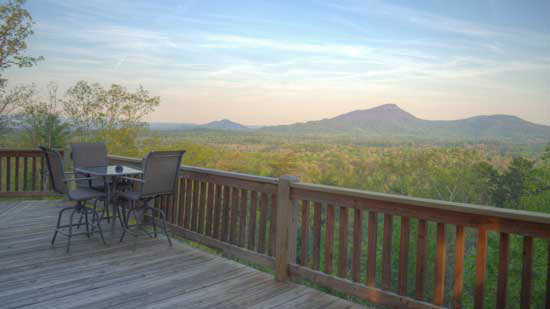 The property is clean inside and out and the mountain view is excellent. They offer a safe and clean playground area if traveling with children, hiking trail along with a hot tub and gas grill that will complete your vacation. Your team was wonderful. We loved our experience at the cabin and will definitely return.